I was being so good, for all of about three weeks, when it came to the ban on bread for Ban-uary (yes, we've all changed the month's name to reflect the ban on everything from alcohol to sugar). 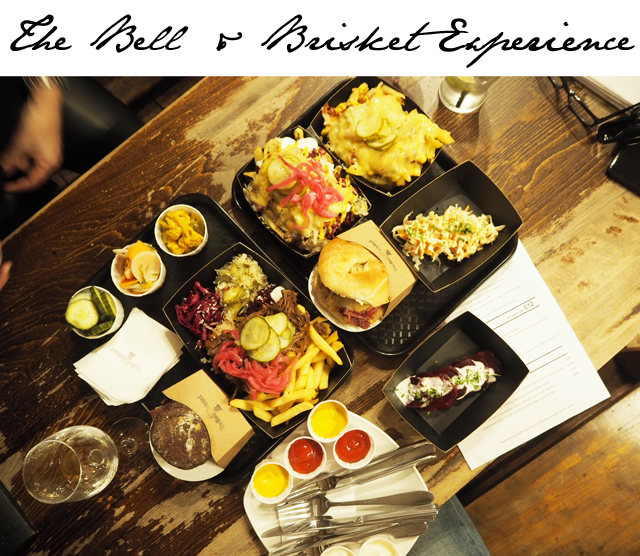 Then I had an invitation to come and taste the culinary delights of The Bell & Brisket. I swear, even after receiving the invite, I thought I could keep to my strict New Year diet and enjoy the experience minus the carbs. What was I thinking? 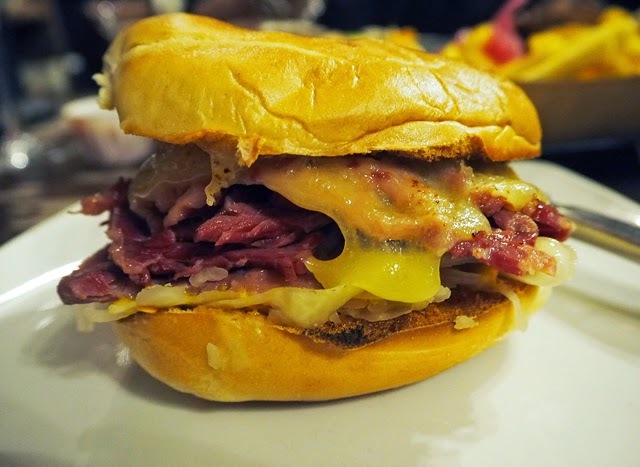 The Bell & Brisket, the brainchild of Bel Shapiro, has been called the best salt beef sandwich in London. I can now confirm all the rumours about this renowned London food truck are true, most definitely true. The only hitch lies in the fact that the sandwiches are only the beginning of "best ofs" when it comes to this menu. Sure, the salt beef on a bagel or rye is just heaven from top to bottom. 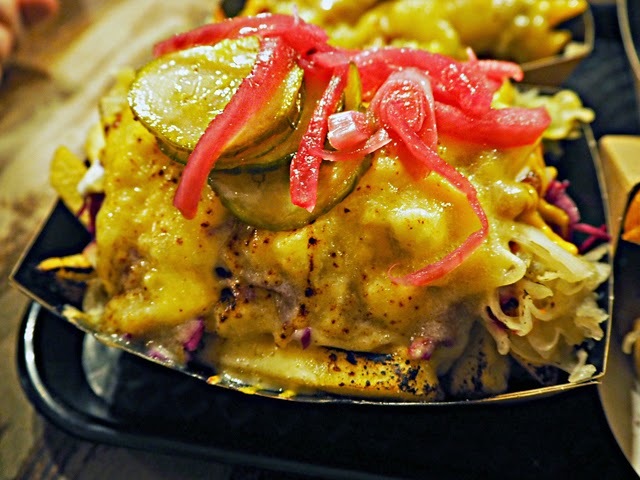 However, this creative chef has taken the road less travelled when it comes to everything from fries to pickles. Everything is unique, but when placed in combination these ingredients will have you begging for more. You'll wish you had a table with more room and pants with a larger waistband. Oh, and you're probably wondering why I'm sitting at a table to eat salt beef sandwiches from one of London's most celebrated food trucks. 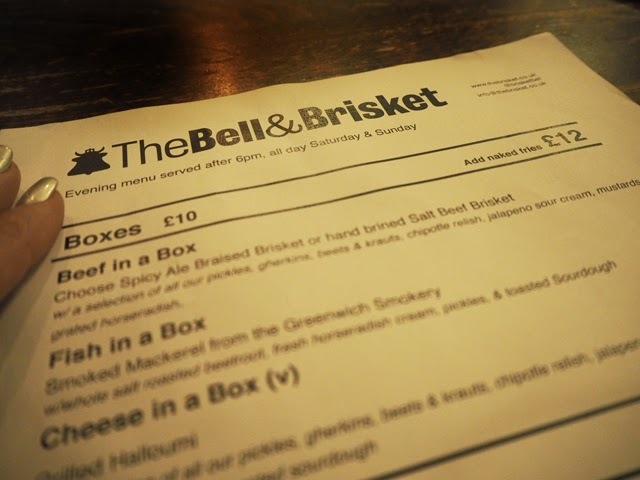 The Bell & Brisket has actually traded in four wheels for four stationary walls and taken up residency at The Grafton Pub in Kentish Town. 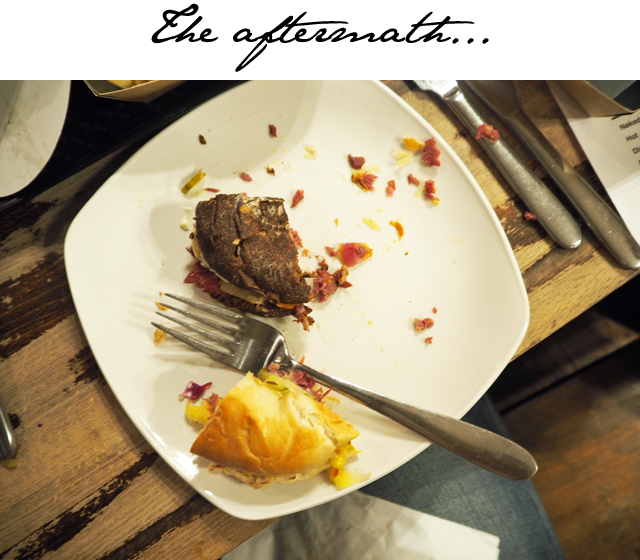 From now until February 15th, you can sit down, order up and wait for your food to arrive while relaxing with a pint. 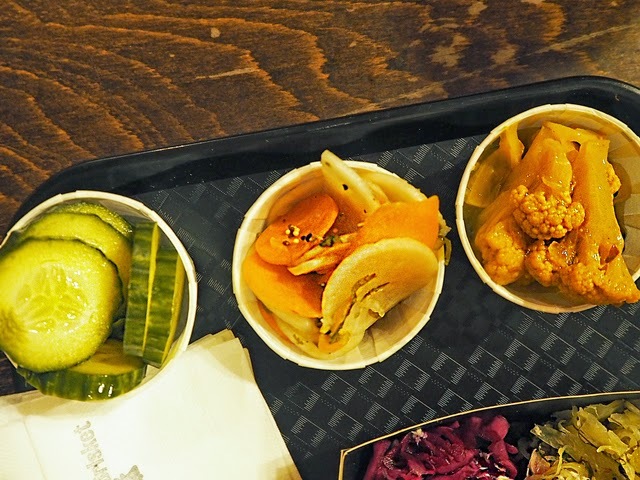 It's one London pop-up restaurant you DO NOT want to miss. This is melt in your mouth perfection and worth breaking all the January Banuary rules for. My recommendation is to get a good group of friends together tonight, head down to the Grafton and order one of everything to share. Yes, it's worth trying every dish on offer. 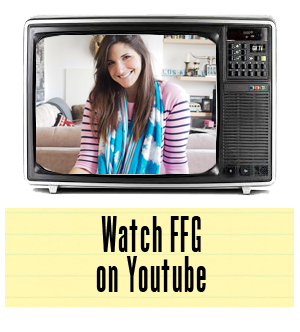 Get ready to have your mind blown and feel free to thank me later.